Wo kann man das abholen ? wenn das ein echter screenshot ist, dann bin ich offiziell beeindruckt! Zotac GTX 980 TI AMP! Soll es nicht heute eine Ankündigung deswegen geben? Ach ne, dass ist für morgen geplant! The Witcher 3 - Wild Hunt wurde heute mit dem Update des Coverfotos der FB-Fanpage quasi offiziell angekündigt! "After time adrift among open stars, along tides of light and through shoals of dust, I will return to where I began." 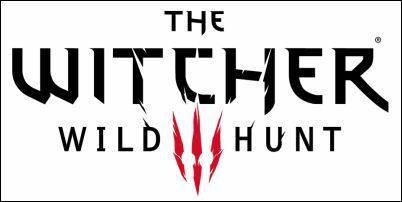 CD Projekt RED has officially announced the title of their next upcoming game: The Witcher 3: Wild Hunt (VIDEO). Further, they've announced that this, the ultimate game in the series, will also be the final Witcher game from the studio. The Witcher 3: Wild Hunt combines CD Projekt RED’s trademark decision-based storytelling flair with a living open world larger than any other in modern RPG history. “The captivating and nonlinear story of The Witcher 3: Wild Hunt takes place in a rich, truly open world environment. A world which is thrilling to explore, full of daring adventures, momentous quests, memorable characters, and unique monsters. Players will freely travel through woods, lakes, mountains, cities, and villages. Each region is inhabited by distinct populations with their own customs, legends and problems. The world of The Witcher 3: Wild Hunt is 30 times bigger than The Witcher 2," said Adam Badowski, head of the studio. “Imagine playing a dark fantasy game with the same great nonlinear story as in the previous Witcher titles, but now told in a world you can explore freely with no artificial boundaries. The war-ravaged world is so huge that to reach further places you will need to ride a horse or sail a boat to get there. A world where your choices have truly epic consequences. From the development side, this goal is extremely demanding. Our team had to make significant design changes and our tech had to be rebuilt. But we believe that this will lead to a completely new level of nonlinearity and a whole new, richer gaming experience. As a gamer, I would love to play this kind of RPG and I think this is what many players are waiting for. This is our dream come true at CD Projekt RED, and we hope it will be the same for you!” adds Badowski. The Witcher 3: Wild Hunt is the final episode of the award-winning RPG series and the last part of the legend of Geralt of Rivia. The Witcher 3: Wild Hunt is the most robust and breathtaking game ever created by CD Projekt RED. Open world free-roaming exploration is an adventure in itself as the player will gallop through war-ravaged lands, sail misty waters and track down dangerous beasts for money. An improved combat system will allow players to feel like a real monster-hunter, a witcher who uses his superior senses and fighting skills to survive in a dark fantasy world--while he embarks on a quest to save his loved ones. The new core mechanics of The Witcher 3: Wild Hunt immerse the player in the experience completely, with no Quick Time Events, only intuitive RPG gameplay. Badowski continued, "People may ask if this is really going to be the last Witcher game. Yes, it is. Why? Because we believe that we should end the series on a high note. Technology has progressed to where we can finally tell the story the way we want, with the visuals we want, in the world we imagined. This will be the ultimate fantasy RPG experience, and while we're hardly out of stories to tell, we believe it's time for us to look to new worlds and new horizons to keep pushing the boundaries of what we can create." For all of those who have never experienced the adventures of Geralt before, this will be their last chance. The game will be accessible all players--those who are fans of the series and those who just love RPGs--thanks to availability on all major high-end platforms and an introduction designed to smoothly introduce all those who visit the world of the Witcher for the first time." The game will be released in 2014 simultaneously on all high-end platforms. Making use of the same remarkable art direction from The Witcher 2 combined with the support of in-house technology--the recently-announced RPG-oriented REDengine 3--The Witcher 3 will take full advantage of the technical capabilities of modern hardware and will set a new standard for RPG visuals. For more details check out the latest issue of Game Informer, available for online subscribers starting from today. There you will find exclusive materials in a 14 page cover story, including early screenshots and concept artwork. To celebrate this momentous announcement, the developers of the award-winning Witcher franchise are putting The Witcher: Enhanced Edition Director's Cut and The Witcher 2: Assassins of Kings Enhanced Edition on a 50% off sale on GOG.com and Steam for the next 72 hours. And for console gamers, the price of The Witcher 2: Enhanced Edition on Microsoft's Xbox 360 is permanently decreased to only USD/EUR 29.99 USD/EUR or GBP 19,99. The Witcher II ist für mich locker in den top10 der besten Rollenspiele überhaupt, genauso wie TWI. Vom Skill her würde ich sagen, dass die Entwickler das Know How haben, aber ein Open World Spiel, das um ein vielfaches größer ist als Skyrim + den ganzen anderen Ankündigungen, wie bessere Hauptstory, vielfältigere Welt (nicht so generisch wie in Skyrim)? Wollte die Screens nochmal in hoher Auflösung posten.